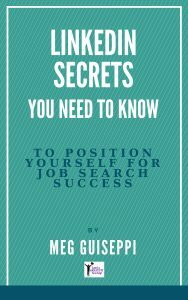 In my executive job search strategy sessions with clients, one of the things they most often want to discuss is where and how to find executive recruiters. I caution them not to rely entirely on recruiters to get them into a job. 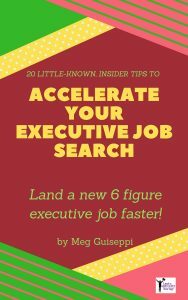 Too many executive job seekers think all they have to do is connect with several recruiters, sit back, and let them do the work. It would be great if it were that easy . . . but it’s not. They forget, or don’t understand, that along with working with recruiters, they need to work hard on networking, which will open them to the so-called “hidden” job market. These are the jobs that are never advertised . . . or jobs that are carved out to accommodate a potentially valuable candidate. More opportunities will come to those who network their way into companies, which starts with targeting and research to identify employers who will be a mutual good fit. ⇒ Optimize your entire LinkedIn profile with the right keywords, to help recruiters find you. Executive recruiters and other hiring professionals source candidates by searching LinkedIn (and other search engines) using relevant keywords. You’ll uncover the right keywords for you in your target companies and industry research. These keywords typically represent your top areas of expertise or hard skills that your target employers most need. Pay particular attention to packing your profile headline with your very most important keywords. 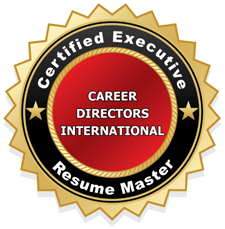 ⇒ Get your executive resume in order. 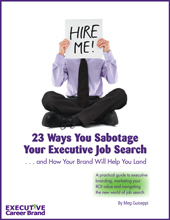 My post will help you, How to Write An Irresistible C-suite Executive Resume in 10 Steps. 1. Re-connect with the executive recruiters you’ve used in the past. See if they’re still around and if they’re still a good fit for you. My clients often tell me they had good luck with certain recruiters or recruiting firms. But they’ve lost contact with them over the years they were employed. I suggest they send these recruiters a brief email to re-introduce themselves, mentioning they’ve worked together in the past. 2. Ask your network(s) for recommendations. Your closest network of people may be the best resource for all things job search and career. They’ve probably had similar experiences, and can offer support and advice. Same goes for recruiter recommendations. If you have in your network various careers industry/job search professionals, seek out their advice. 3. Search LinkedIn for executive recruiters. LinkedIn is a haven for recruiters. They’re busy networking there, posting updates, and sourcing and assessing candidates. Look for the search field at the top of your profile. Place your cursor in the field and select “People” in the drop-down. A second menu appears below the permanent one. Click on “All Filters”. Scroll down to “Industries” and tick off “Staffing and Recruiting”. Also tick off any other filters you want. Click on “Apply” at the top of the page and a list appears. Send a personalized invitation to connect to any recruiters who look promising. More about that below. 4. Check your trade or industry associations for referrals. Your network of colleagues and other professionals in your industry you’ve met through associations are an excellent resource for recruiters and other career professionals. 5. Check out Forbes “Best Executive Recruiting Firms” for a list of the big firms. Updated each year, this list includes the giants like Korn Ferry, Egon Zehnder and Heidrick & Struggles. 6. Check out these various Kindle guides. You’ll find dozens of directories of executive search firms and recruiters by position, industry, some states and some cities at CustomDataBanks. Each directory seems to be around $10. 7. Check out these other free executive recruiter directories. You should be able to find even more lists with a simple Google search for “executive recruiters”. 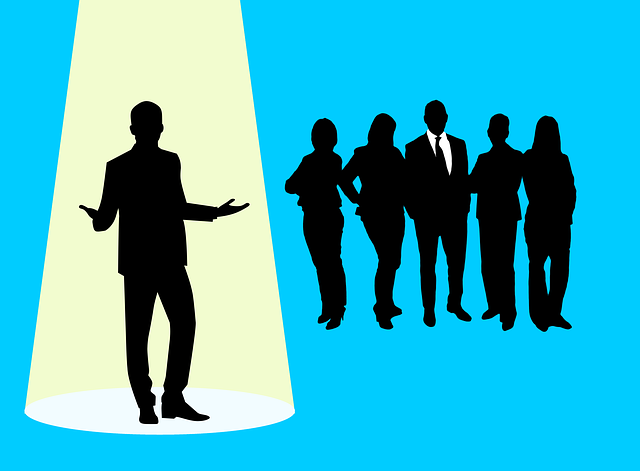 What do you do once you identify the right executive recruiters for you? Reach out to them via email. Send them your nicely formatted Word doc resume, and be sure to also send your ATS-friendly, or text, version for their database. To get all the details on how to do this and avoid the typical emailing blunders too many executive job seekers make, read my post How To Get Executive Recruiters’ Attention With The Right Email Messages. 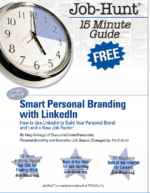 Previous Post: « Do Executive Job Seekers Need LinkedIn Premium?